The quilt’s most elegant and artistic feature is its elaborate, varied, and unique quilting designs. Extra fine stitching outlines birds, fish, people, flowers, and other motifs in a rare display of artistic skill. 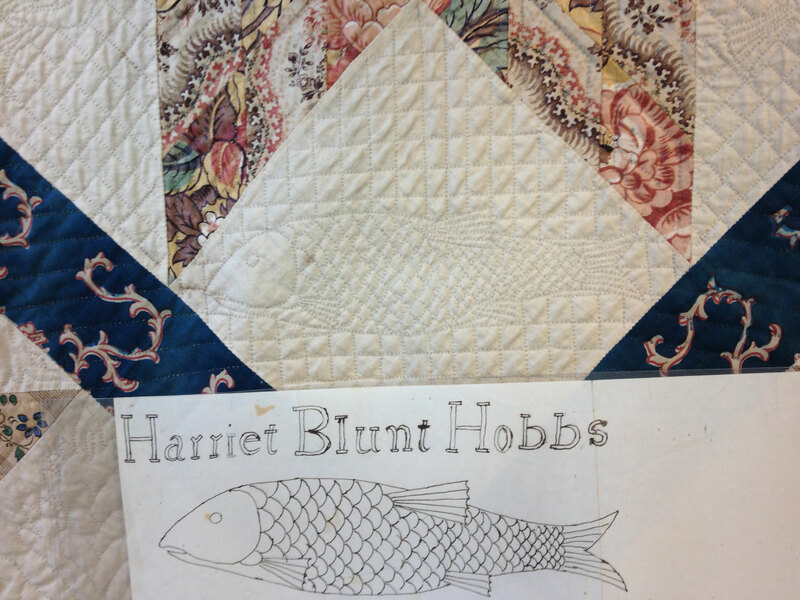 A quilt made by Mary’s aunt and sister-in-law, with identical quilting patterns (see nearby case), shows that Waters quilted with her neighboring relatives. In Mary’s own household, her stepdaughter and several enslaved women were also available to help with the sewing. 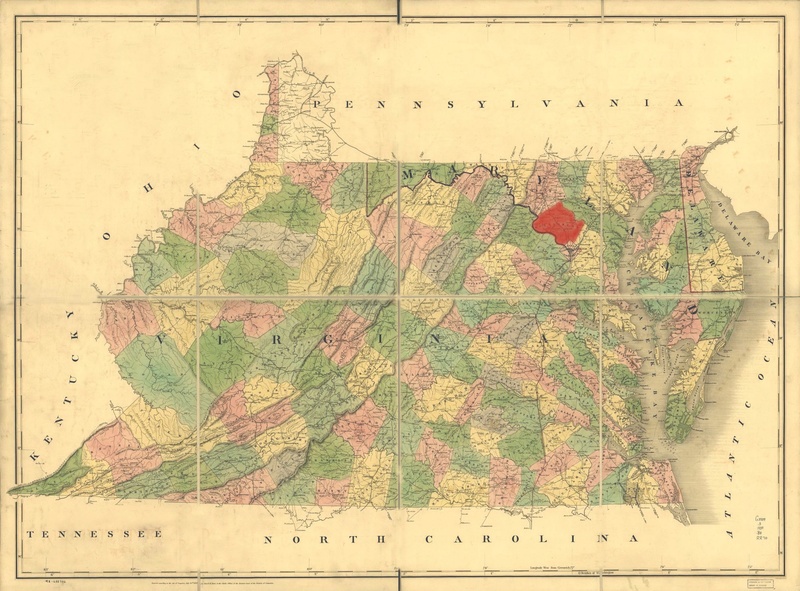 Blue and brown were a stylish combination throughout the 1840s and 1850s. The shaded or “fondu” (French for “melted) sashing fabric was popular at this time. 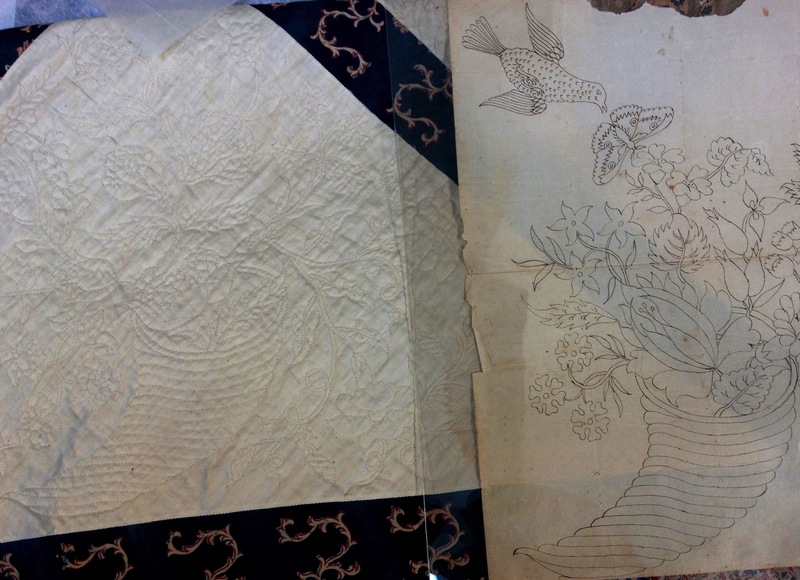 Remarkably, the paper patterns for Mary Waters’s quilting designs survive. 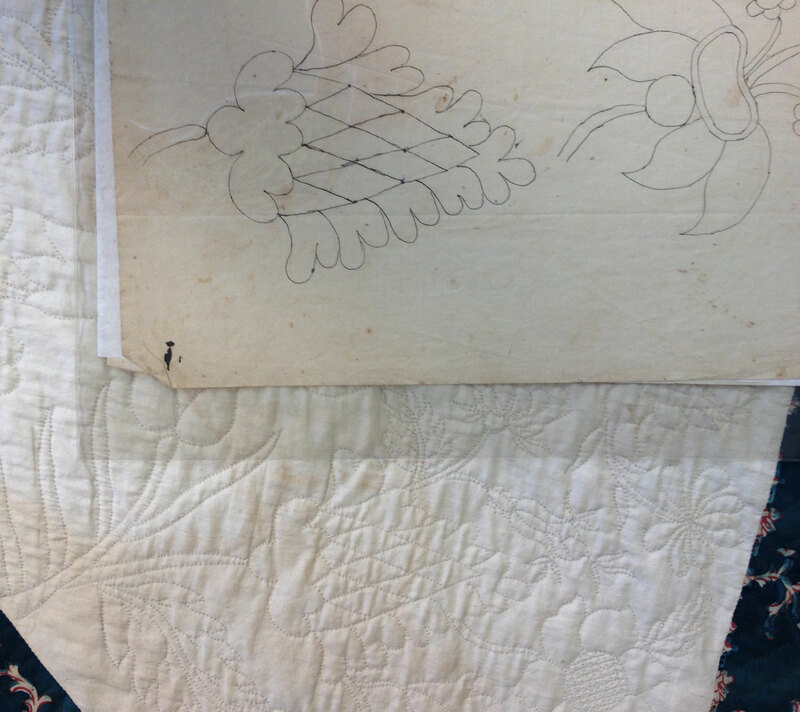 Their artistic skill (family history relates that some women in the family were art teachers) is matched by the extremely fine needle skills needed to translate them onto cloth. 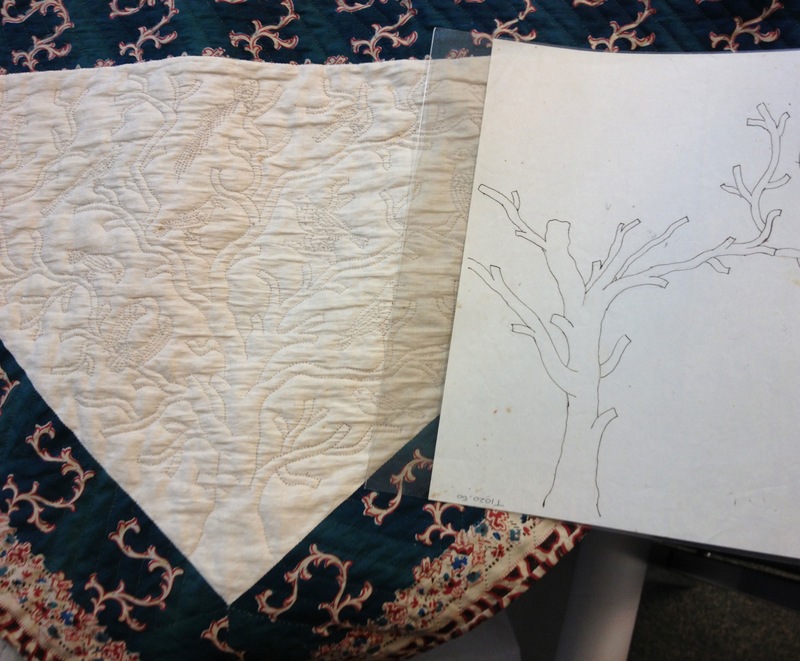 The DAR Museum staff brought Mary Waters’s quilt to the Montgomery County Historical Society, who owns over forty pages of quilting designs (used on their quilt made by Mary’s neighboring relatives), so that the designs could be matched up with the DAR’s quilt. These snapshots were taken during that excursion.